Zack Greinke spoiled a chance for a Padres’ four-game sweep in the desert with both his bat and right arm. 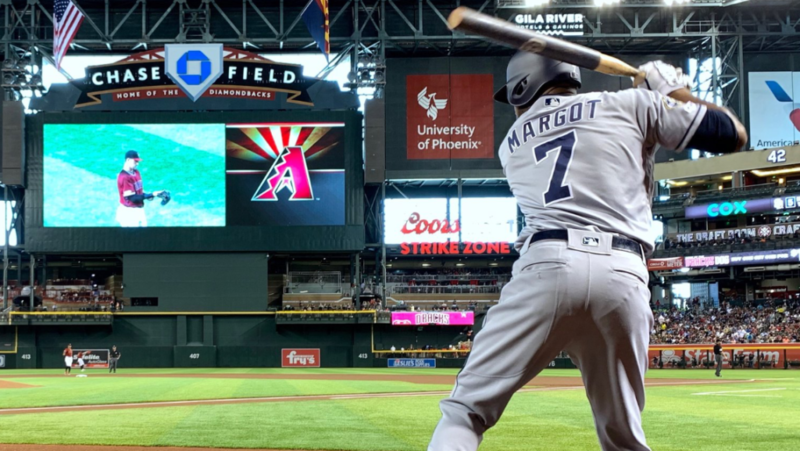 With the San Diego Padres trying to close out their first four-game sweep at Chase Field in club history while completing one of the most successful road trips in recent memory, a long time Padres nemesis stood in their way. Zack Greinke has been a thorn in the side of many a Padre teams over the years, from his time in Los Angeles to his later years in a Diamondbacks uniform. He has hurt the Padres not only on the mound, but in the batter’s box as well, and Sunday afternoon was no different. After allowing a leadoff home run to the red-hot Manny Margot and another home run of the same variety in the fifth to one of Bob Brenly’s favorite Padre (Fernando Tatis Jr.), he settled in and cruised through seven innings, allowing only four hits and one walk while striking out six. As usual with Greinke, a career .221 hitter, he was also productive at the plate with a 2-for-3 day, with a double and two runs scored. Two other Padre’ killers, David Peralta, and Ketel Marte homered against the Padres, with three and two-run shots, respectively. Eric Lauer started for the Padres and got through five innings of three-run ball before being pinch-hit for in the top of the sixth with the Padres chasing one run against Greinke. 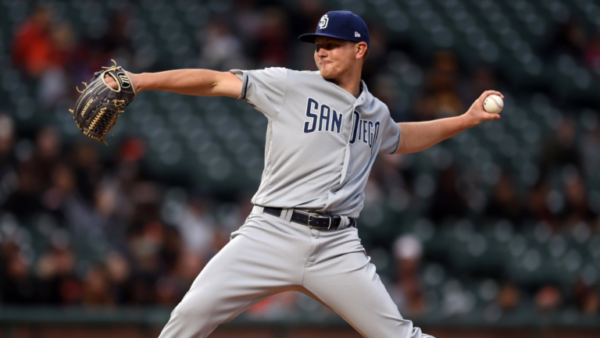 At the time of the game, it seemed a questionable move due to Lauer being only at 77 pitches through five innings and the Padres only down one at the time. Even though bullpen reinforcements were called up before the game in Luis Perdomo and Phil Maton, Lauer looked like he had enough in the tank to go one more inning. Instead, Wil Myers led off the next inning pinch-hitting for Lauer and proceeded to strike out while new Padre reliever Matt Wisler gave up four runs over the next two innings, including the aforementioned three-run pinch-hit home run by Peralta. Maton pitched the bottom of the eighth and allowed an opposite-field home run on the first pitch of the outing to Diamondbacks first basemen Christian Walker to conclude a dubious outing by the Padres bullpen. The Padres were without a few Padres veterans in the lineup on a travel day after a long road trip, with Myers, Manny Machado, and Austin Hedges all getting the day off. A possibility as to why all three had the day off: in the game last night, two Diamondbacks hitters got hit, including Peralta and Eduardo Escobar. While some wild control did contribute to the plunkings, there was a feeling there would be a level of retribution being dished out today the way of Padres hitters. For the most part, everything was cool, calm, and collected, that is until the top of the ninth when Arizona closer Greg Holland delivered two pitches back-to-back behind Padres catcher Francisco Mejia. Chirping could be heard from both dugouts during the at-bat with Andy Green questioning the logic as to why no warning was issued to Holland. On the bright side, Margot and Tatis homered while Franmil Reyes‘s luck looks like it’s coming around. After a long ten-game road trip, the team will have a short flight and sleep in their beds tonight while welcoming the Colorado Rockies for the beginning of an eight-game homestand, starting tomorrow. It will be left-handed pitcher Joey Lucchesi taking the mound for the Padres. The Rockies have not announced their starting pitcher for the first game of the two-game series. I am a lifelong Padres Fanatic who loves to talk and debate any and all sports. But SD Padres and minor leagues hold a special place above all. 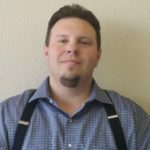 A 33-year-old born and raised San Diegan who is a season ticket holder and puts his money where his mouth is.